Nai Mui Ling Sharon of the A*STAR Singapore Institute of Manufacturing Technology (SIMTech), her colleagues, and international collaborators have shown that an additive manufacturing method, called selective laser melting, is well suited to building components from CoCrFeNiMn. The process uses a powerful laser beam to melt tiny powder particles of the alloy, which then fuse to make a solid object. Remarkably, the researchers found that the process actually produces a stronger material than conventional casting methods. "It exhibits an enhanced strength with a relatively good ductility," says Zhu Zhiguang, a research fellow in the SIMTech team that led the study. The researchers then heated their 3-D-printed objects at 900 degrees Celsius for one hour under an inert atmosphere. This partially removed the cellular structure and reduced the material's strength, but it also made the material more ductile, enabling it to deform further. 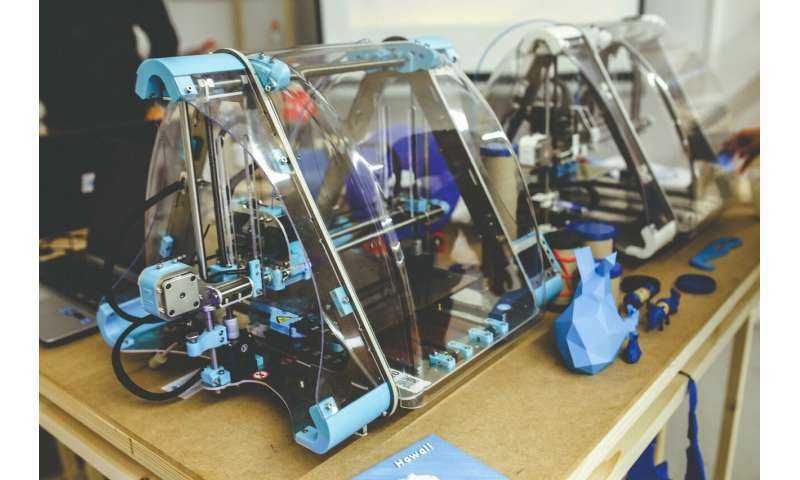 The researchers hope that tweaking the 3-D-printing processes could further enhance the mechanical properties of the materials. They also plan to use selective laser melting to fabricate other high performance alloys, so that they can study how the microscopic structure of the materials affects their properties. "With this understanding, we will be better equipped to tailor their properties for industrial application, and help to accelerate the adoption of additive manufacturing," says Nai.